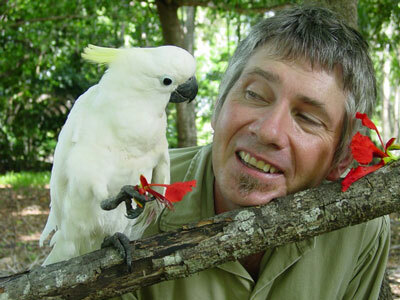 If you want to know something about the ecology of cane toads at Fogg Dam, Dr Greg Brown is the expert. He’s been based up at Fogg Dam for about ten years now, since before toads arrived, and has gathered very detailed information about the native fauna before and after toad invasion, as well as about the day-to-day lives of toads. 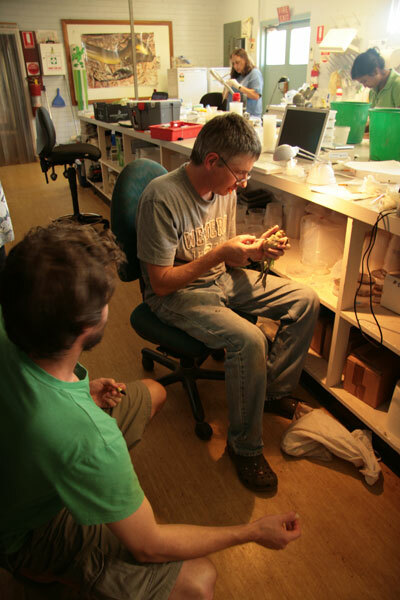 Greg has worked on many different aspects of toad biology, often in collaboration with other members of Team Bufo. He has radio-tracked literally hundreds of toads as they have moved through our study area, and has individually marked and recaptured many hundreds more to measure rates of growth, dispersal and survival. Greg’s information was critical to our discoveries about how and why the rate of toad invasion across Australia has accelerated so dramatically (see INVASION). 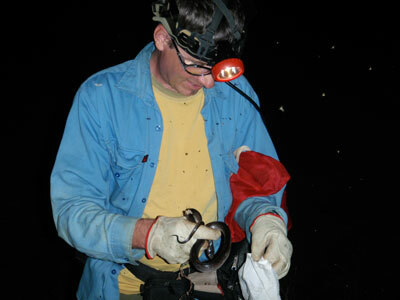 Greg has also done more detailed studies on various aspects of toad biology. For example, he and Dr Cathy Shilton conducted research on the spinal arthritis that afflicts cane toads at the invasion front. One of the most exciting new developments involves the immune systems of toads. It seems as though invasion-front toads have weakened immune responses – that seems to be a likely reason why they are so vulnerable to the arthritis - and we are following up this lead with studies on how toads react to infection in terms of their behaviour and physiology (by Dave Llewelyn) as well as looking at the actual processes by which they combat infection. We hope that a better understanding of toad immune systems may help us to pinpoint vulnerabilities, that could be used to help control toad numbers. 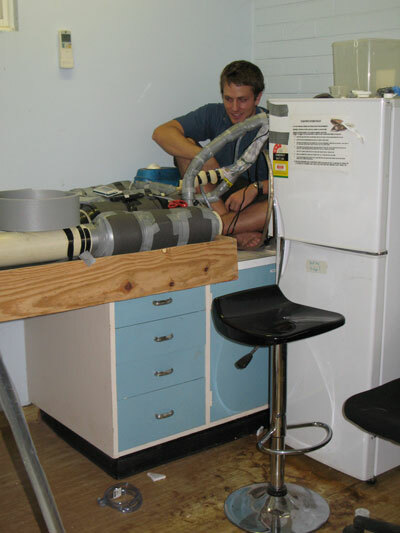 Honours student, Dave Llewellyn, constructing equipment for his studies on cane toad immune system responses. Dave is now a Rhodes Scholar at Oxford University. One interesting intersection of our research projects is the way that a toad’s immune system is involved in fighting parasites. So Greg has been collaborating in Crystal Kelehear’s program of sampling toads on a regular basis at several sites, to measure the toad’s level of parasite infection as well as their immune-system function, hormone levels, body condition, and so forth. That work is providing the first detailed information about how factors in toad biology affect host-parasite relationships in this invasive species. Crystal is following that work up with experimental studies, infecting toads with parasites to see exactly why some toads are affected more than others. 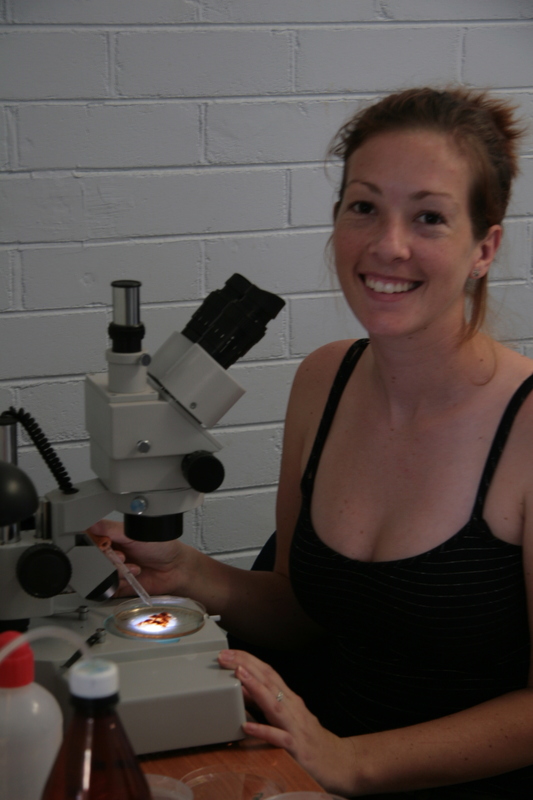 Crystal Kelehear is exploring the parasites of cane toads, and what effects the parasites have on toads (photo by Terri Shine).